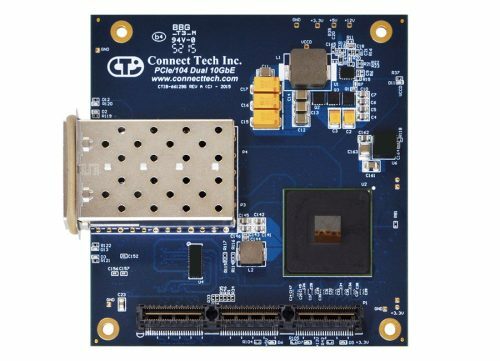 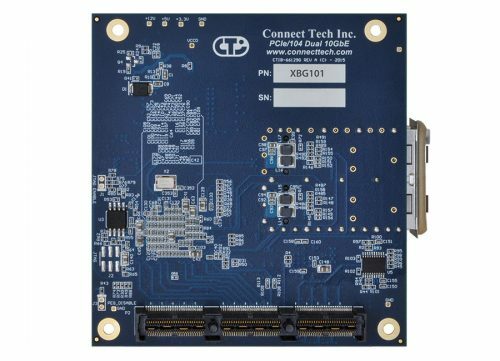 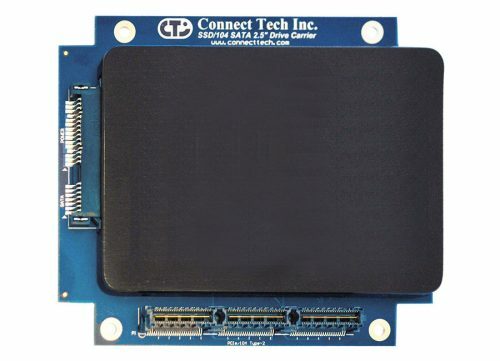 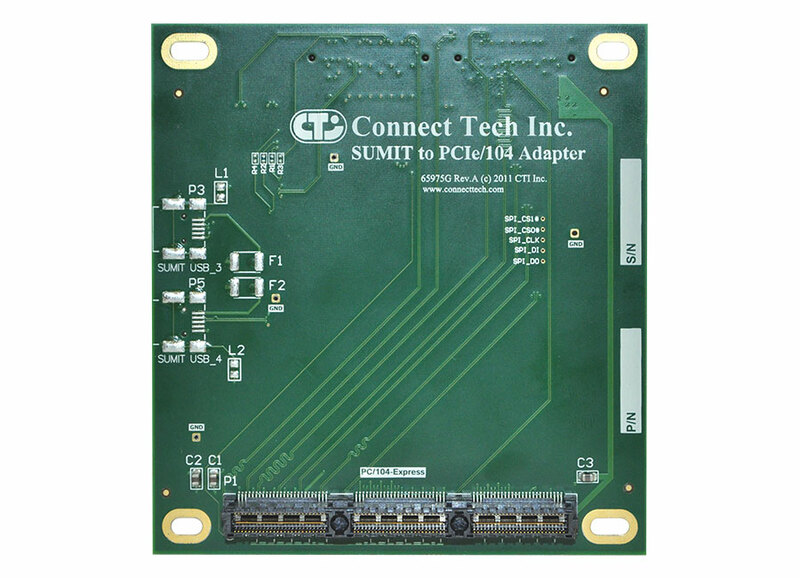 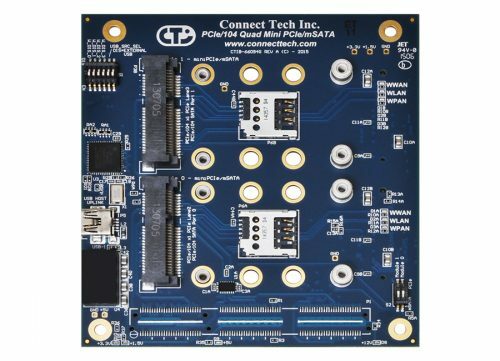 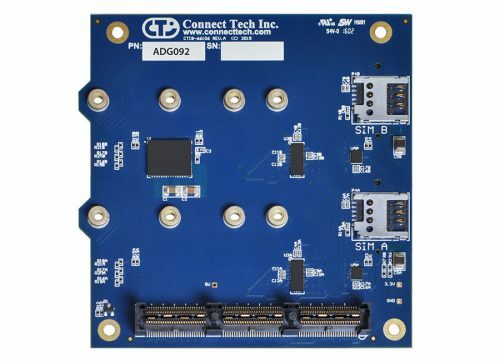 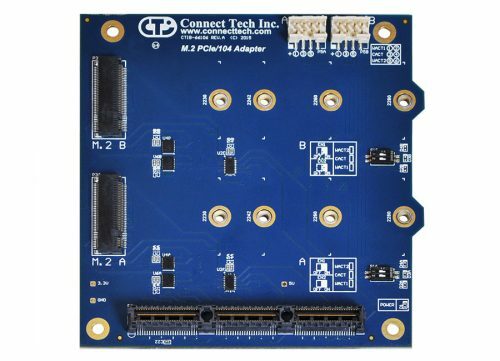 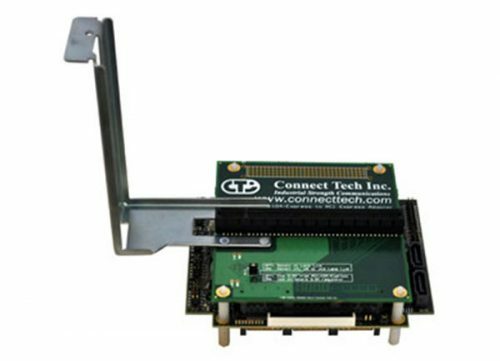 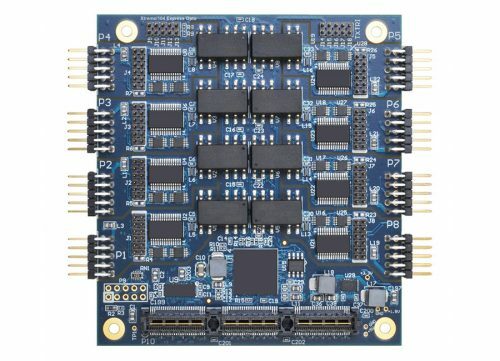 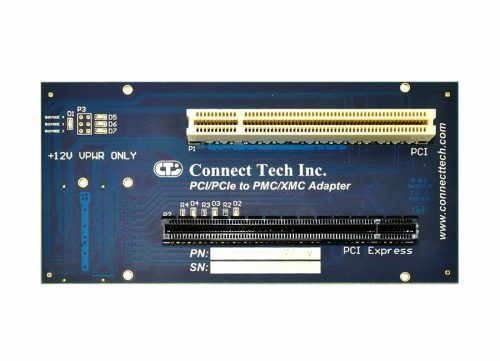 SUMIT to PCIe/104 Adapter - Connect Tech Inc.
Connect Tech’s SUMIT to PCIe/104 Adapter allows for easy integration of PCIe/104 or PCI/104-Express cards into an existing SUMIT-104 system. 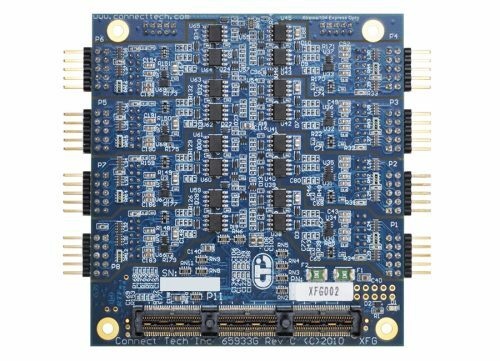 The SUMIT to PCIe/104 Adapter is fully compatible with any Legacy Type-1 or Type-2 SUMIT-104 system, and allows x1 and x4 lane PCIe/104 or PCI/104-Express peripherals to be used with SUMIT cards in a SUMIT-104 stack. 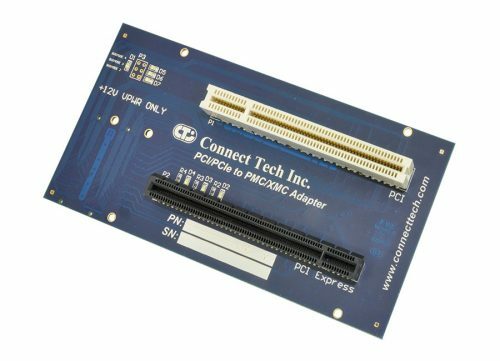 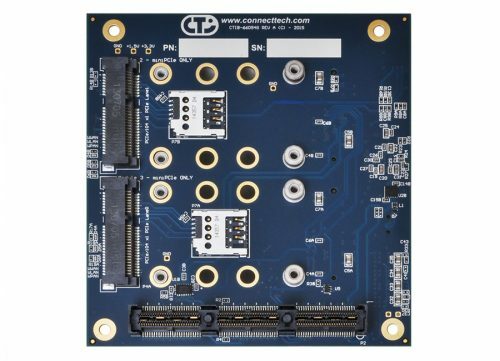 Additional signals available on the PCIe/104 bus include SMbus and 2 x USB. 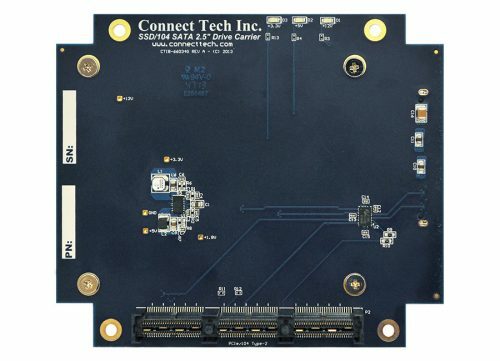 Additional accessible signals include 2 x USB ports via on-board Mini-USB connector (optional).